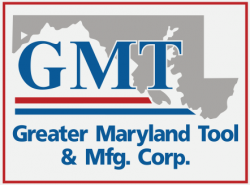 Greater Maryland Tool & Manufacturing Corp. is always interested in adding skilled industry talent. We offer competitive pay and benefits in an environment that promotes teamwork and fosters continuous growth. We are conveniently located 11 miles from the Deep Creek Lake Resort in Western Maryland. Please send resumes in confidence to john@greatermarylandtool.com. Send us an email and we will respond as soon as we can. ©  · Greater Maryland Tool.